Link building is one of the most important factors in a successful SEO strategy. But how you go about building links is slightly different if you are focusing on local SEO. Here’s a guide to what you need to know, along with a few of the best techniques for building local links. With local SEO, beyond ranking highly in the search engines, your main aim is to show up in the “3-Pack.” The 3-Pack contains details about local businesses along with a map and other details, and it is here that you want your website to show up. To do that, you need to focus on the standard SEO practices of publishing high-value content, optimizing your website, and building links. But when it comes to building links, you need to adapt your strategy compared to your standard SEO activities. The main difference is that you want to add a local element to your overall strategy. So while you still want to get links from high-authority websites, you also want to get links that take into account the local factor, whether they are from high-authority sites or not. What you don’t need to do is take a purely local approach—non-local links from authority websites are always good to have. Instead, local links should make up a part of your overall link-building strategy. Here are some ways to find them. There are many local link building strategies you can consider. But before we go into details, keep in mind that you don’t need to just focus on sites with high domain authority. While your overall link-building strategy should include building links from authority websites, your local links are more focused on showing the search engines that you are a trusted local site. If the site linking to you has local relevance, this is all you really need to worry about. That means even no-follow links will be useful. It’s also worth keeping in mind that if you are not in a competitive local market, your chances of ranking are pretty good. 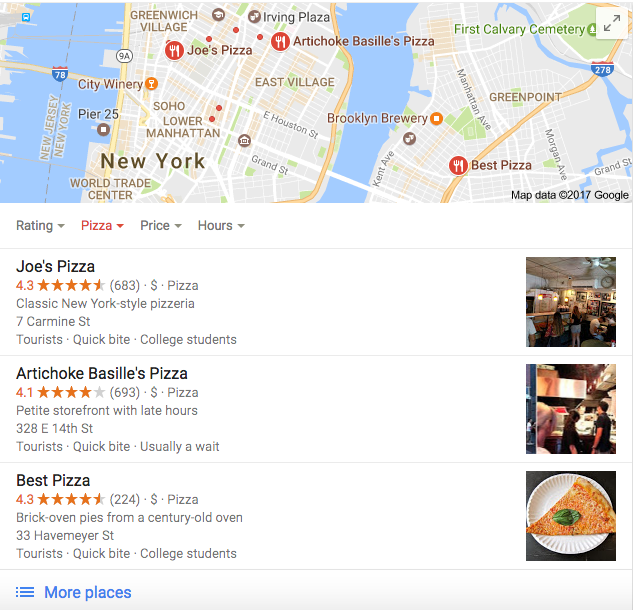 Many small local businesses only have directory links, so if you can just add a few local links, you should be able to get above them fairly easily. First up, look for local directories. These are the obvious links, but they matter. You won’t be able to get links in all of them, but get citations where you can. You may be able to find numerous suitable directories where you are located, and all it takes is a quick search. Also look for business associations where you can get links and citations. These are easy to get, but you will normally have to pay the membership fees. If you can’t find one in your city, look for one at your state level. These are trustworthy links and they are relevant, so these alone could give your rankings a boost. Directories and business associations are a good start, but you should take your link building further to get ahead of the competition. Head to Meetup.com to start with. This is the biggest site for local meetups and a great place for finding some easy links. Search for active groups in your area, and especially groups that are related to your business. Are the groups looking for a place they can host their meetups? Offer your premises and get an easy link. Alternatively, offer to be a sponsor for the group. Pay a small amount to cover food or drink, and you’ve got yourself another easy link. Rewards are a great way to get a link because the winner is often listed along with a link to their website. So start searching for rewards that you could get nominated for. Once you find a potential award, put in some work to get nominated for it, and you could be in with a chance of winning and getting that link—along with some free publicity. Look to other businesses in your area for links. Not competitors, and ideally businesses that could offer something to your customers—and vice versa. You might already have good relationships with other businesses. Perhaps you know the owners already, and this can present a great opportunity for getting some easy local links. A resource page is a great way to get links. The idea is not to link to businesses so they link back to you—instead, you want to create a useful resource for local people that will encourage other sites to link to it because you are providing value. It doesn’t have to even be related to your business, though it makes more sense if it is. Try and think of resources that you could refer people to that relate to your business in some way. As the resource page grows, it could start to attract links and social shares. Another simple way to create something useful that other sites want to link to is to interview someone of interest. Find a local figure to interview, perhaps by using your local contacts, friends of friends, etc. You want to find someone reasonably important and well known. Perhaps they are one of your customers. Then simply interview them and publish the interview on your site. Mention it on social media, and if it is interesting enough, you should be able to attract some natural local links. Events are another great way to get links. What could you do at your business? Perhaps you could hold a party to mark an important date like July 4th or Thanksgiving. Be creative. Think of ways that you could help local people related to your business. This might involve holding a workshop where you can share your skills with the local community. Think of something fun that you could organize for the community, and this could easily create buzz on social media and get some links. Another good way to find local links is to connect with local bloggers and network with them. They might want to interview you or write a piece about your local business, and they might also be happy to link to your resource pages once you know them well. These are just a few ideas for building local links. If you are serious about your local SEO, look at all the possibilities for building links, including the above options. And check out our recent blog on the Golden Rules of Local SEO for some more tips. But don’t just focus on local links. Instead, make local links a part of your overall linking strategy. With just a bit of work on your part, you could find yourself getting ahead of your competition and ranking highly for local searches.